The sudden death of her husband, a few months after his entrance upon the office of General Missionary Secretary, was a heavy blow. Already enfeebled by illness, she was never well again. Prostrating weakness of the heart supervened. On rare occasions, when a little better, she attended the means of grace, as she eagerly wished to do. Gradually this became impossible. She was confined to her home, and finally to her bed. Her sufferings were often severe. But through all, her unfailing patience, her cheerful manner, her bright smile, her intelligent interest in all that concerned the welfare of her family and the church, her words of trust, her appreciation of the ministry of consolation and prayer, were very beautiful. It was a means of grace to visit her. “Patience had her perfect work,” till she seemed to be indeed ripe, “perfect and entire, wanting nothing. The end came somewhat unexpectedly, following upon a sudden change for the worse, in her illness. Without a struggle she fell asleep, to awake and find herself with Christ and dear ones in the Homeland. She was interred in the City Road Cemetery, Sheffield, on Saturday, July 2nd. A service was held in the John Street Chapel, conducted by the Rev. P. Nume, assisted by the Revs. G. Hunt, W. Travis, S.A. Barron and J. Bowness. A large attendance testified wide-spread sympathy and respect. 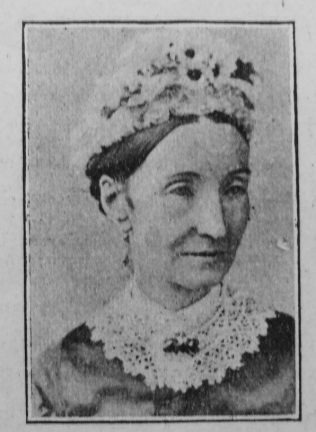 A memorial service was conducted by the writer in the Abbeydale Church, of which Mrs. Slater at the time of her death was a member; and at the John Street Church, also, the Rev. W. Cutts paid a tribute to the memory of the deceased. Elizabeth’s parents were James Kershaw and Elizabeth Clegg. Her baptism record and 1841 census suggest she was born in 1835, not 1837 as stated in the obituary. Elizabeth married John Slater (1838-1903) in the summer of 1864 at Chorlton, Lancashire. Census returns identify three children.